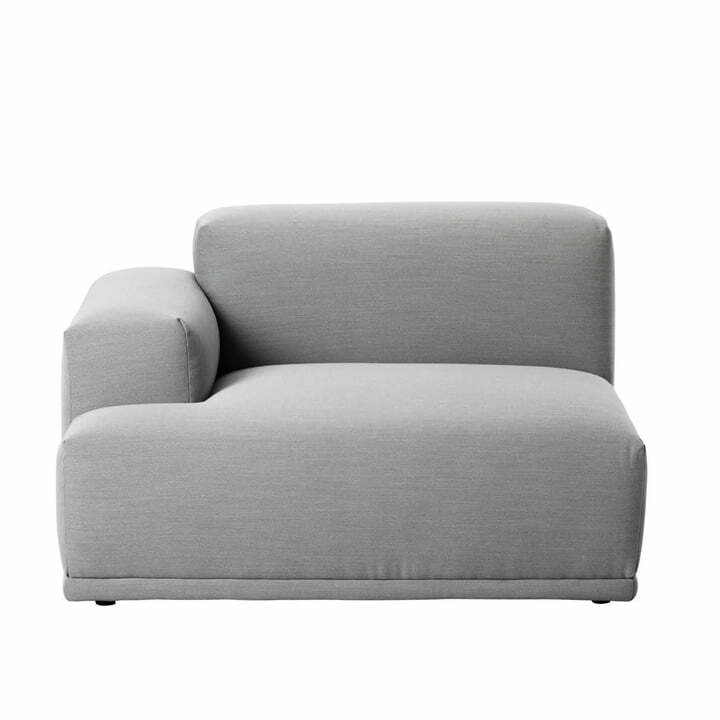 Muuto presents the timeless Connect Sofa in a Scandinavian classic design. Different modules are combined to an individual sofa landscape. 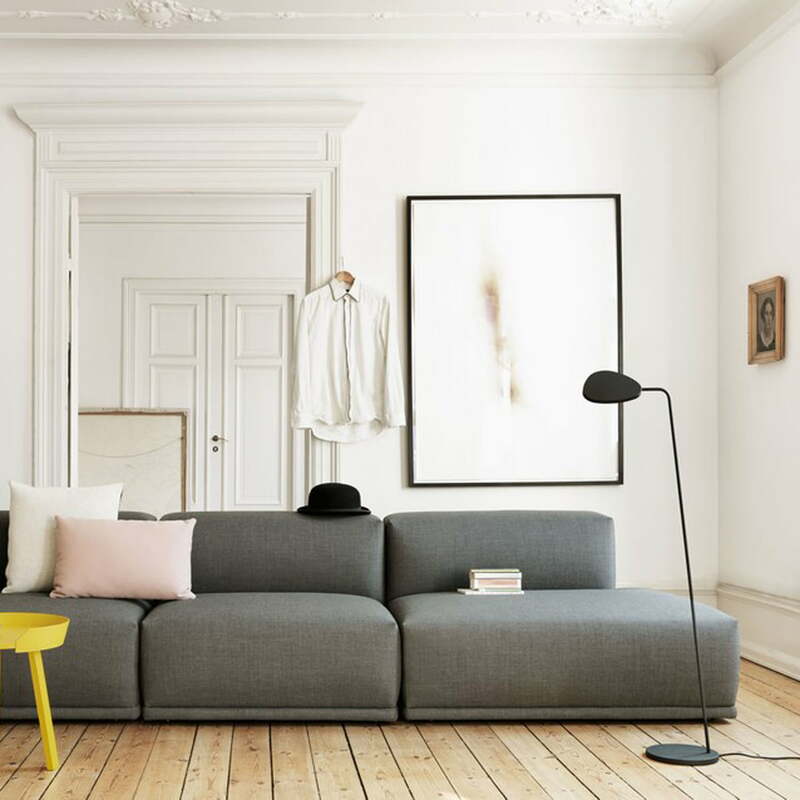 The Connect Sofa was designed by Anderssen & Voll. Connect stands in the Scandinavian design tradition: uncomplicated furniture that is clearly designed and convincing according to its use. 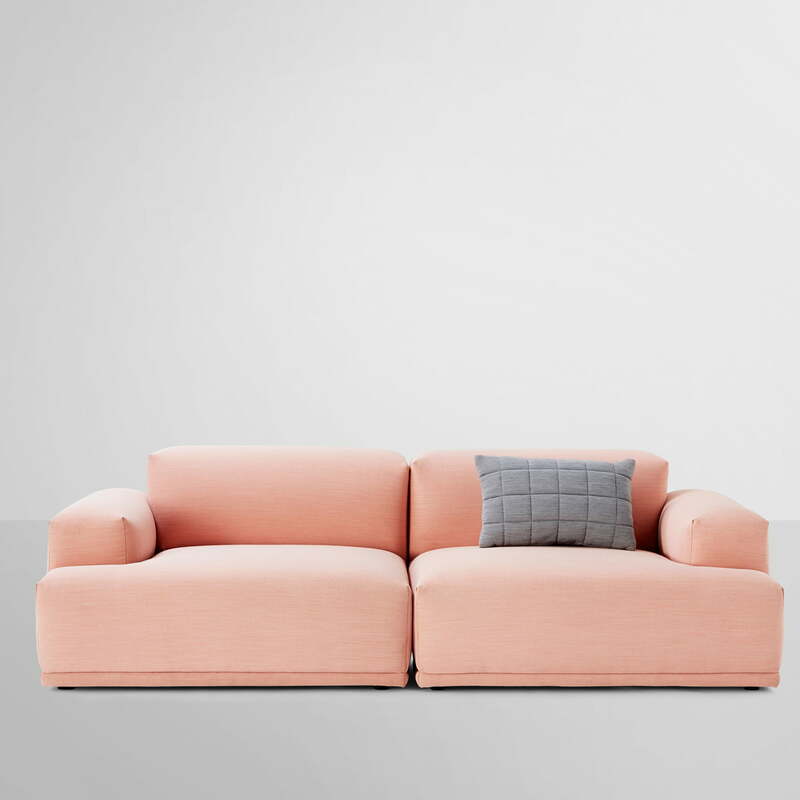 That is the reason why the Sofa by Muuto is more than pretty to look at: exceptionally comfortable, Connect invites to relax. The Connect series consists of a total of nine different modules that are individually combinable with each other. The clear, reduced design remains unchanged . it doesn’t matter what a personal configuration you may choose. The individual connect modules consist of a wooden frame, which is upholstered with cold foam. For a more comfortable seating, an additional layer of padding cotton is applied above the cold foam padding before the actual upholstery fabric is raised. 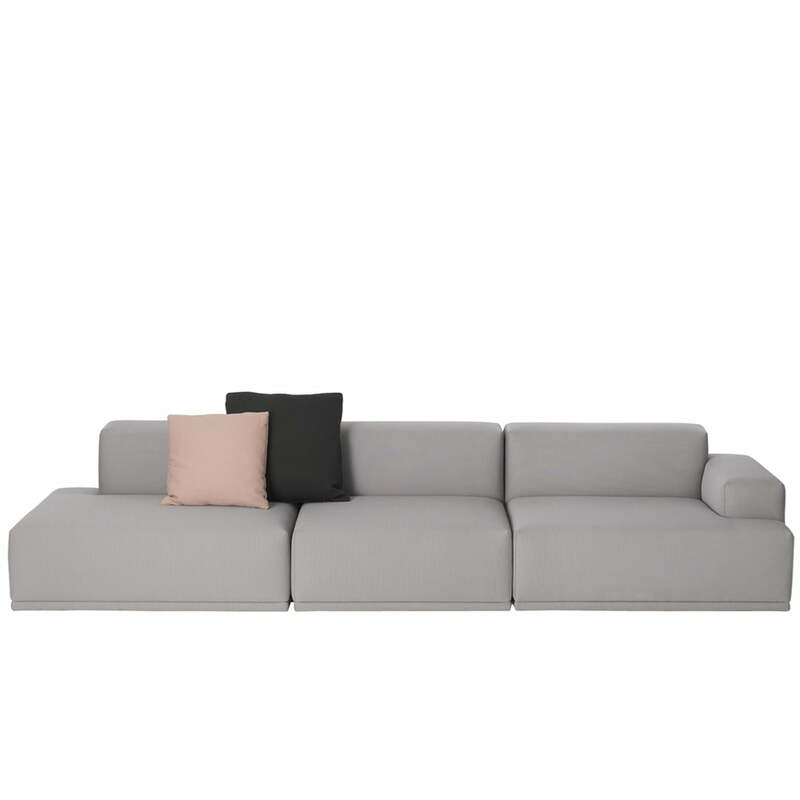 Muuto offers five different fabrics (Remix 123, Vancouver 13, Fiord 961, Modesto Stone Gray, Wooly 1007) in various shades to choose from. 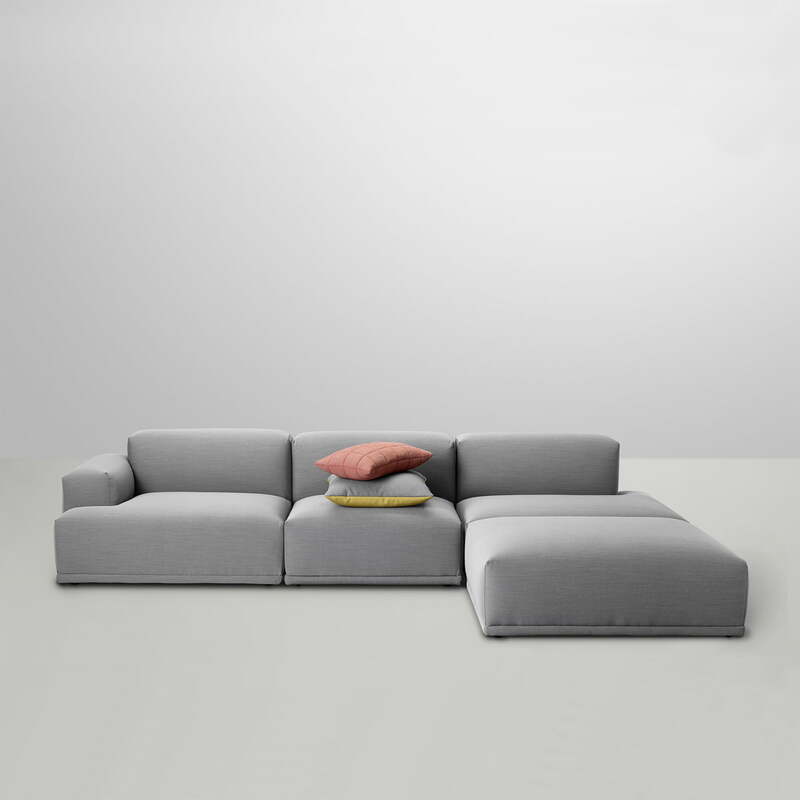 All the modules for the Connect Sofa by Muuto are available. Also individual coating colours are realizable for an extra charge of 5%.